Your door is truly one of the most important elements of your home. It’s the first thing that people see before they enter your house. It’s also a key ingredient in your home’s security. Therefore, you need to make sure that you have the very best doors for your property. Since you have so many different choices available on the market today, it can sometimes seem to be a bit difficult to know which ones are best for your needs. Fortunately, we can help you make the right decision. When you are choosing a door, you need to think about a number of different things. Is this door the main entrance to your home? What is the climate like in your area? For example, in some humid climates, it is possible for some wooden doors to swell, which can make them difficult to open and close properly. The first thing that you should consider when you are choosing a door is security. It is the first line of safety for your property. The door should not be flimsy, and it should offer high quality locking mechanisms so that it is difficult for someone to break into the home. Another aspect of security that you should consider is how you will be able to look outside of the home to see who is knocking or ringing the bell. Does it offer a peephole or a small window so you can see outside? A thick and heavy door, whether it is wood or steel, or even fiberglass, is a good consideration. This ties in closely with the durability of the door. You want to choose one that will last a long time, and that means you need to choose quality. No matter the type of material that you choose for the door, quality and durability must always be a consideration. Think about the area where you live. Does the sun beat down on your door most of the summer? Do you have a lot of rain and snow? All of these things can damage your door, so you need to make sure that you choose one that can stand up well to all of the natural elements in your area. However, you need to think about more than just the natural elements. Think about coming home with an armload of groceries and banging into the door. Think about all of the trick-or-treaters with sticky, candy-coated fingers. Think about pets scratching at the door. A durable door with a high quality finish will be able to stand up to this type of abuse far longer than a low quality door would. You can have a door made from many different materials, and all of them can be quite durable so long as you buy from a trusted company. Wood, steel, and fiberglass are all great choices. Often, the one that you choose will come down to the next consideration when buying a door – the looks. Once you have taken the time to think about the security and the durability of your door, it’s time to get down to the aesthetics. As mentioned, when people come to your home, your front door is the first thing that they are going to see. 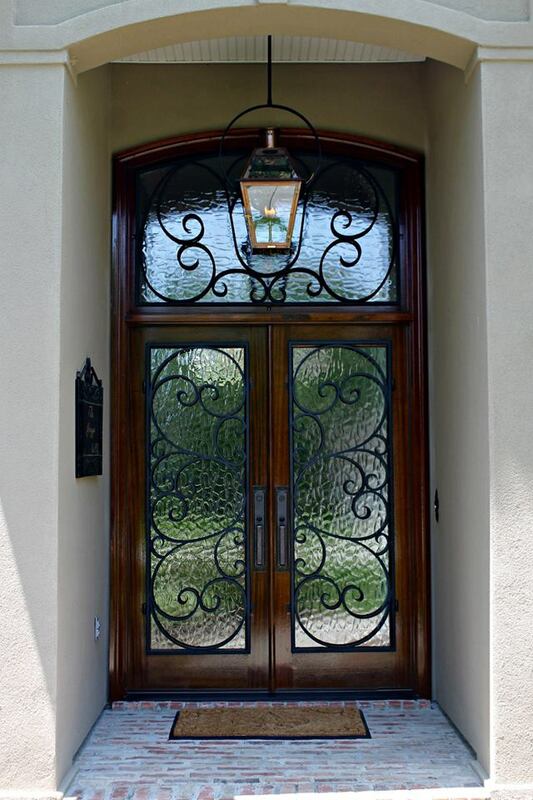 It can reflect poorly on your house if you have a shabby looking door. Take some time to look at all of the different styles and colors available, and then try to choose something that does a good job of complementing the rest of your home. A great door really can make a huge difference, so give the choice plenty of thought.